Tomorrow’s Cleaning is your digital cleaning magazine, providing you with the latest cleaning news, exclusive content, advice, products and the latest job vacancies - all available online. Welcome to 21st Century cleaning. Axis Group, the UK’s security, cleaning, front-of-house and support services organisation, has been awarded a three year contract to deliver cleaning and security services to Houndshill Shopping Centre, Blackpool. British Cleaning Council Chairman, Simon Hollingbery, has praised a ‘Best Value’ guide developed by the European Federation of Cleaning Industries (EFCI) as ‘an excellent piece of work’. Jangro, the network of independent janitorial distributors, has become one of the first to be accredited by the UK Cleaning & Hygiene Suppliers Association’s new Accredited Distributors Scheme. Emprise Services has announced that it has been awarded a five-year contract to provide cleaning services for Arsenal Football Club at its Emirates Stadium in Holloway, London. The organisers of the ISSA/INTERCLEAN Amsterdam 2018 Show have issued a call for abstracts for an extensive and varied open learning programme, an integral part of the event that will run next to the ISSA educational conference. Klenzan, the Warrington-based hygiene specialist, is supporting the NSPCC by entering a team in the Lake District Adventure Challenge, which is held in Coniston on 10th June 2017. ABM UK has been awarded a three-year contract to provide The Centre, Livingston with a range of facilities management services. A range of industry leading companies and a leading charity will be sponsors of the 2017 Loo of the Year Awards. A partnership between TC Facilities Management and Remploy, the disability employment specialists, has been named as a finalist for the ERSA Employability Awards 2017 in the Large Employer of the Year Award category. The Kimberly-Clark Professional Golden Service Awards 2018 will launch its online entry process on Thursday 1st June 2017. 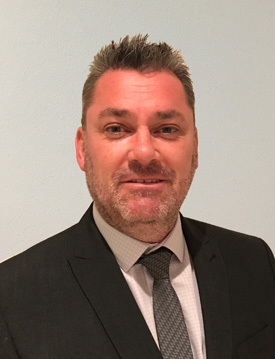 Monthind Clean LLP, the East-Anglian contract and specialist cleaning services provider, has appointed Richard Redding as its new Sales Director. For the third year running, Pacific Support Services has partnered with charity Young Epilepsy with a Golf Day, aiming to raise £50,000. Rochdale Council’s Town Hall Team has been named the inaugural winners of the Cleaning Team of the Year Award. Cleaning and detergent manufacturer RP Adam Ltd (Arpal Group) is set to increase production capacity by more than 40% at its Selkirk-based UK headquarters, following a £125,000 investment in new filling line technology. NJC (Not Just Cleaning), the cleaning and support services organisation, has been identified as one of the London Stock Exchange (LSE) Group’s most inspirational British companies. Leading facilities management provider Servest has announced that their cleaning contract with high-street retailer Primark has been extended following a successful tender. Best Minds Marketing is heading to Milton Keynes later this month to offer up their expertise to budding cleaning business owners. Alex Reid, leading laundry specialist and machine supplier, has announced partnerships that will bring Grandimpianti and Cocchi laundry equipment to its growing machines portfolio. John (Jack) Broadley is to be installed as the new Master of the Worshipful Company of Environmental Cleaners on 27th April. ICE, the independent provider of industrial cleaning machines, has announced the appointment of Neil Jacobs as their new Director of Engineering.